Sewit brings an uncommonly creative approach to finding optimal solutions to her clients’ real estate needs and challenges. For Sewit, in real estate, success is an artform: framed by her experience, her canvas is her modus operandi; the medium, her tenacity and perseverance; and the brushstrokes, a beguiling nuance and subtlety. Together, they capture the vision inspired by her creativity and talent in finding solutions for her client’s needs. Sewit’s modus operandi delivers a bespoke real estate service, tailor made to the unique characteristics of each and every one of her clients, one that reflects the individualized boutique nature of her consummately professional style of representation. For her, every one of her clients is special, and all receive the top level service, respect, and discreet representation she is known to provide her high net worth and celebrity clientele, a service recognized as the next level above what would be expected from other upper echelon realtors. Sewit’s solid foundation of 16 years of experience dealing with the complexities, strategic negotiations and financing options faced by her clients’ real estate transactions has enabled her to develop an unparalleled level of professionalism, one that is imbued with the talent to recognize, accommodate and embrace the beguiling subtleties and nuances of personalities and deals. Such elements escape many, but are profoundly understood and captured by Sewit. Inspired by Winston Churchill’s famous “Never give in” speech, Sewit learned that “She who perseveres, succeeds.” With a deft touch, she is gentle but firm; flexible but implacable; assertive but not aggressive; persuasive but not argumentative; and most importantly, always and unyieldingly a tenacious advocate for the relentless pursuit of her clients’ real estate objectives. These are the characteristics that have earned Sewit the respect and admiration her clients as well as her fellow top -level realtor peer group. 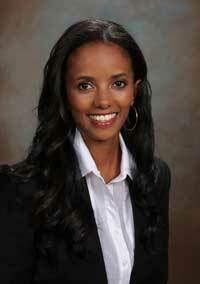 Sewit brought her prodigious talents and meticulous attention to detail to her career as a real estate professional. “One of the reasons I am so passionate about what I do is I understand the value I can bring to, and for, my clients. At 22 I came to California with dreams and hopes, starting with nothing. I worked hard and within 8 years I was able to buy my first home. With hard work, everyone can achieve their own American dream." This thought is a driving principle that still motivates her to strive to perform at the highest level of her profession. "I thrive in helping others make their dreams come true, too," she says. "Over the years, my experience has taught me how to work creatively with my clients to represent their real estate needs in the best possible way, and that for each specific client, curating and tailoring a highly specialized approach for their unique needs is the most effective and rewarding strategy for achieving the optimal outcome on their behalf."